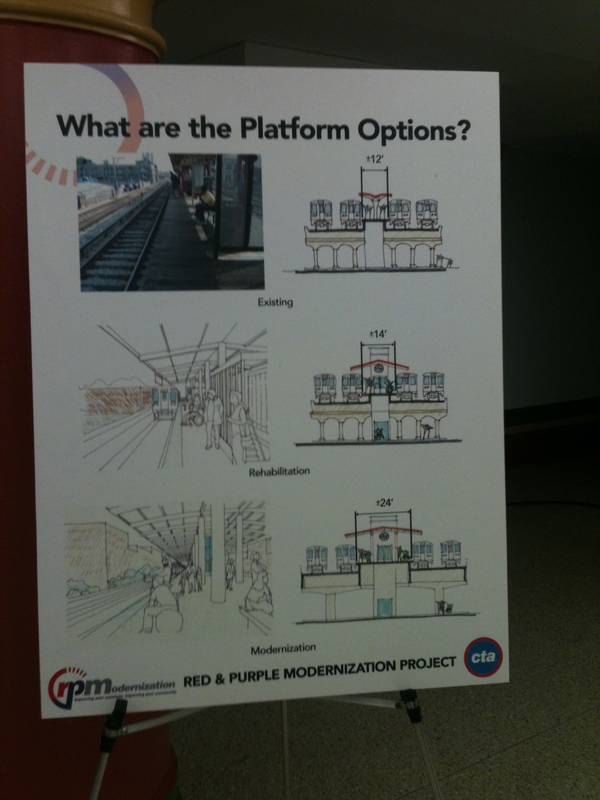 There was some discussion on CTA Tattler today regarding the upcoming Red & Purple Modernization Project public scoping meetings. First, there's the "No Action Alternative" which would do nothing. The "Basic Rehabilitation Alternative" would essentially put lipstick on a pig, while the "Basic Rehabilitation with Transfer Stations Alternative" would add Purple Line transfer stations at Wilson and Loyola. Both the "Modernization 4-Track Alternative" and "Modernization 3-Track Alternative" would permanently close four stations: South Blvd, Jarvis, Thorndale, and Lawrence. Both of these options would replace the existing structure and embankment with "modern concrete aerial structure" while also rebuilding most stations. The 3-Track option would allow for Purple Line Express service in only a single direction. Public meetings will be held in Uptown, Edgewater, Rogers Park, and Evanston next week to get input on the alternatives. As Kevin Z noted, I hashed this out with Kevin O there. It sort of sounds like CTA is anticipating requirements for a funding program that it recognizes may not be a source of funds for this project, but wants to get ahead of the curve. The consensus also seemed to be that Alternative 6 was a strawman to make alternatives 1-4 look better, but not serious, sort of like proposing maglev for the Red Line south of 95th. 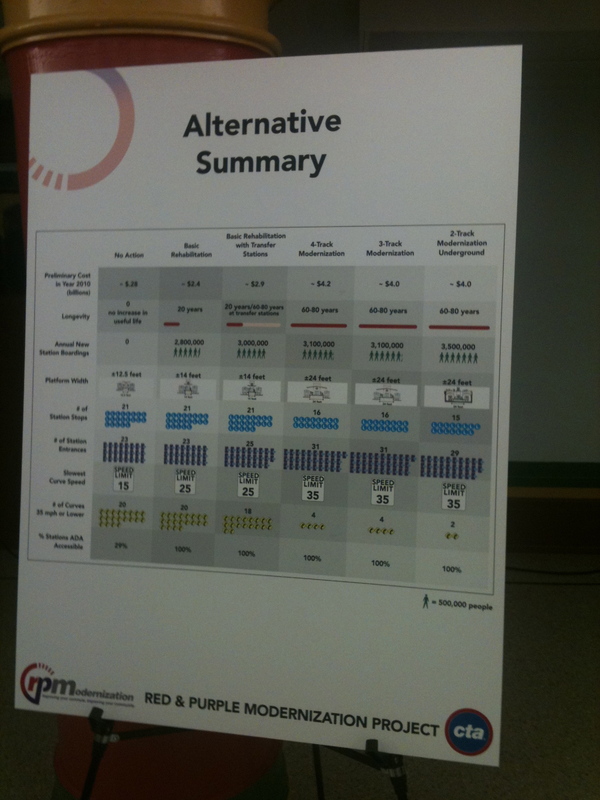 Alternative 5 hits me as an unwarranted decrease in capacity, and sort of like proposing BRT again for south of 95th. Neither is serious. Kevin O's suggestion to go to the meeting to see what is being planned would make sense if, for instance, the proposal is as Kevin Z proposes for a Broadway subway,* compared, to say, what I would have proposed about 15 years ago for a subway via the old Milwaukee Road, through the Wrigley triangle property to Clark to Sheffield to Clybourn. However, if the proposal is a strawman, there is no sense going down to the meeting to protest it. In summary, while the North Side Main needs work to keep it from collapsing, if one wants to propose a subway, Halsted between 99th and 127th would make more sense. However, the AA stage for the south Red Line extension started in 2006, and while the scoping comments closed in 2009, it is 2011 and no sign yet that they will get to the environmental impact stage, let alone get some funds, do some engineering, and break ground. In fact, no word has been posted yet whether the corridor is the railroad or Halsted. *Thanks for posting the Federal Register announcement, which in addition to proposing the Broadway corridor, says that the stretch from Loyola to Howard would also be replaced by a 2 track aerial alignment, I guess similar to the Pink Line along 21st. However, I don't see any point to tearing up the embankment anywhere north of Lawrence, nor reducing capacity to two tracks. The "seeminglessly" point seems to be the main point. Theoretically, there is a r.o.w. for a Broadway subway, if one wants to close Broadway to street traffic for 4 or 5 years during construction (if the State/Grand station is any indication) or if a plank Broadway would work, sort of like how Los Angeles planked over the street excavations for its subway. I don't see that happening. However, for a trench, there isn't a r.o.w., unless, in addition to taking down the embankment, one digs under it. Then there is no L service for 4 or 5 years during construction. I note that the reason why the accessible path to the Howard platforms is above the station is because CTA didn't want to do the more normal thing of tunneling under the embankment. Hence, I believe that only Alternatives 2-4 are feasible. As you note, alternative 1 is just the status quo benchmark. Thanks for also mentioning the President's Report. However, given what CTA has previously done with PowerPoint, I wonder if any actual planning has been done, or someone just slapped "Berwyn" over "Belmont" or "Fullerton." The images look similar, and from the divided underside of the overpass, it looks like Fullerton's or Belmont's 4 track arrangement. Speaking of the President's Report, I'm surprised that the Train Tracker displays at I guess, again, either Belmont or Fullerton, are dot matrix instead of flatscreen TVs. I suppose, though, that if the information is correct, it doesn't make a difference. When I was thinking trench, I was referring to "at the embankment". Most likely, there going to have to close the east alley anyway while construction is in progress. As far as construction goes, there going to have to close track by track like Fullerton and Belmont so to say there won't be delays on the riders is being really optimistic. With the Berwyn pictures there's new angles with the entrance, so it's not a copycat. Looks as if it was drawn up special to draw interest in the project. There was a glass canopy at street level with the blue CTA symbol (from what I saw) to make the stations kind of resemble there Dan Ryan counterparts. Alot of metal and glass. My original thought was that there may be a vandalism problem on the glass. But they will probably address that like the did with the Cermak branch. One more thing if they intend to replace the elevated structure between wilson and addison how could they do that without putting the rest of the structure in jeopardy of collapsing. It may be smarter to just rehab that structure, if they intend to do that. Like Cermak. This could be a really big project. By mentioning Addison, that brings up that it still has over 20 of its 40 year FTA life left. The metal and glass may reflect that they still intend to lease out the stores under the tracks, like they once did on the north side, and are trying to do again. Your mention of "replace the elevated structure" had me looking back at the Federal Register notice. As far as from Lawrence south, it could be done in a manner similar to the Pink Line, i.e. build the concrete supports under the existing structure, then close the segment for a weekend, yank out the structure and put in the new track assembly. There would be consistent weekend interruptions, but not total loss of service. One also probably could yank out only one or two of the 4 tracks at a time, sort of like at Fullerton and Belmont. Admittedly, the mess around the old Wilson shop should be straightened (i.e. the sourthbound express track swinging to the right, and apparently all through tracks having to go through a switch south of the junction with the express track, as well as all the stubs into the now nonexistent shop). The "rehab" of the South Side Green Line didn't seem to do much with regard to permanent slow zone relief. 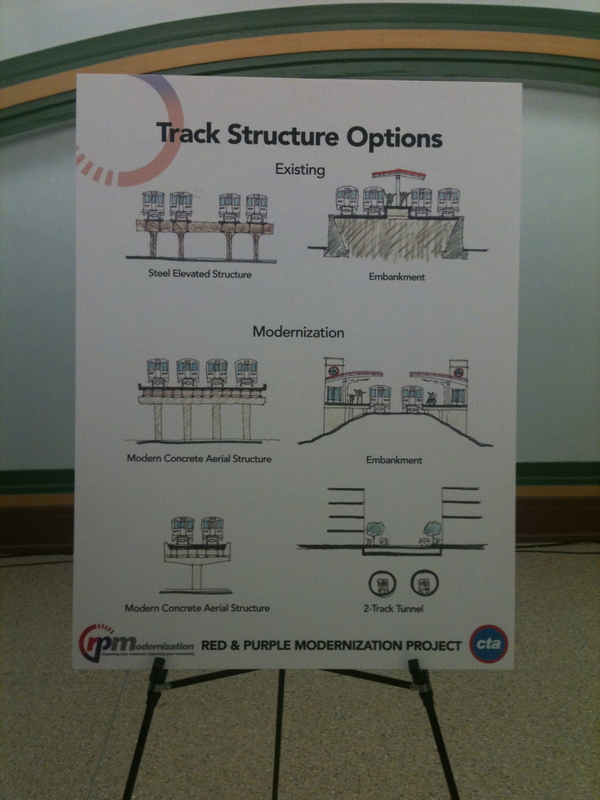 However, the 4 and 3 track Modernization Alternatives in the Notice refer to "replace the existing structures and embankment with modern concrete aerial structure" on the Red Line segment (i.e. south of Howard). That gets back to my point of digging up the embankment, unless somehow that could be pulled off with a 3 track as you suggest. However, given the howling about the similar Metra UPN project, I'm not so sure about that theory, combined with whether digging in or near the existing embankment raises collapse issues. While I didn't think that CTA had thought this through before proposing the alternatives, it looks like you have found a lot of other legitimate questions. Why would they permanently close Lawrence, but keep Argyle? Probably the only reason is that the merchants of Little Vietnam are willing to maintain Argyle. It certainly doesn't have any transfer potential. For that matter, getting back to BusHunter's point about the illustration, if there were any serious thought about moving or closing stations, it would make more sense to have Foster than Berwyn, except that, I guess Berwyn west of the L has become a bus staging point. First on Emanuel's to-do list, which totals billions of dollars, is overhauling 10 miles of deteriorated Red Line track on the South Side from 18th to 95th streets, where slow zones cause long travel times. The last I heard, the Dan Ryan segment was renovated in the mid 2001 decade. Also, the project in this thread is on the North side. Either editors or Chicago voters should beware. time from Howard to 95th would be 55 minutes.Presently it feels like 75 minutes. The current slow zone map shows 22,700 feet of slow zone (track) on the Dan Ryan branch compared to 5720 on the North Main. Hence, it is a valid question, to which I don't have an answer. However, having 22% slow on the Dan Ryan within 4 or 5 years of major construction on it doesn't make sense. I was surprised by the sudden "rehab the Dan Ryan line that was just rehabbed four years ago" project as well. I was looking at historical slow zone maps last night. At the completion of the project in January 2007, all slow zones were gone. Yet by May of that same year, they returned and various parts of the line have had slow zone restrictions ever since. The document also warns that the 3-track option "could reduce reliability and increase cost of service." Public meetings are taking place this week, with the first one tonight in Uptown. For what it's worth, Rahm Emanuel's transportation plan calls for having the project underway (along with the Dan Ryan rehab and south extension) within his first year in office, with completion within seven years. On further reflection on Gene's and Kevn's remarks, it doesn't appear as much that Emanuel or Hilkevitch were slinging fiction as that we may have another NABI situation here. Apparently someone in the Kruesi administration underspecified or approved bad work. The work should not have lasted only 5 months. There are also reports that wood on the platforms of the Brown Line is splintering. We know that that job was cheapened up when the first bid was well over. One has to wonder about whether CTA claims for "funding" should be heeded if projects consistently turn out like this. Sure, dump another $4 billion into a subway that reduces capacity. 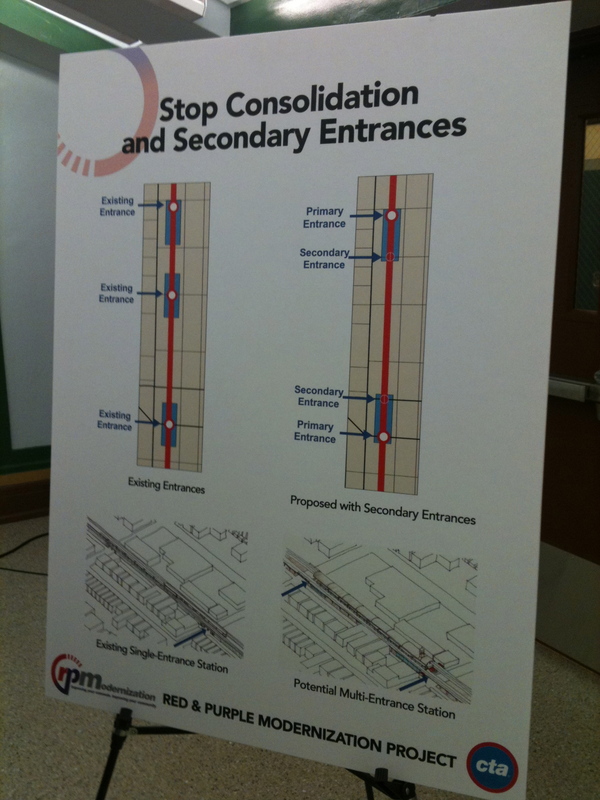 As far as the station closures, looks like their solution to that problem is putting two entrances/exits a block apart. That idea would work well for eliminating Thorndale or Jarvis, but doing that for Argyle to close Lawrence would probably result in a #81 permanent reroute down Argyle between Broadway and Sheridan. As far as the slow zones at the south end of the red, my first thought is that they want to replace those ties with the harder recycled version. (like what's on the Kennedy section of the Blue line) The blue line rides beautiful since they replaced those ties. Back In 2006, part of that red line project was a power upgrade as well as station rehabbing. It would have made more sense to stick with one objective at a time. That being said I don't see how they can justify any south rehab past a tracking upgrade or possibly finishing out the rest of the stations to make them wheelchair accessible. To me this looks like they want to deliver as new a red line as they can when the 130th entension opens and have a uniform new line like the brown, pink and green lines were possibly having a fully handicapped accessible red line. This might be moot, since the Trib is reporting that the Appelate Court is throwing Rahm off the ballot. More court to come (I am sure). I've commented on political blogs on that one, and don't think it will hold up. However, it doesn't become moot if the CTA says "we really need it," and starts crying for "funding." 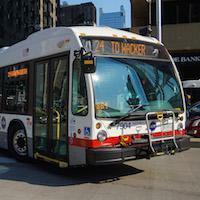 Of course, the CTA wasting money as I described in my preceding post is never moot. Maybe the rationale is as BusHunter suggests. 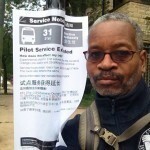 Kevin O'Neil of the CTA Tattler says he's going to ask the CTA about it, so stay tuned. Well there r still slow zones on the Dan Ryan branch of the Red Line, so they're nowhere near done. My understanding is that the Dan Ryan was not totally rebuilt during its rehab a few years ago. They rebuilt crossovers and did station work, but the long stretches in between were relatively untouched. There might be some basis to that, given the discussion on the CTA Tattler today. However, it was pointed out that shoeflies were installed in the expressway. Also, I noted from the March 2007 Construction Report, which says under "Red Line/Dan Ryan Rehabilitation Project Project Summary:" "Eliminate slow zones" and "Replaced ten crossovers Replaced track work between Cermak and 47th." I also noted Kevin Z's comment above that the elimination of the slow zones lasted, maybe five months. If that was all the scope of the project, that was very poor. And, if they replaced trackwork between Cermak and 47th, there is about 5,000 feet, or 1 mile of slow zone there now. If nothing else, CTA is misleading us with regard to the scope of the work they do, including with regard to the Green Line being shut down for two years, but slow zones were not eliminated (for any length of time) at least around Englewood. They at least said that they scaled down the Brown Line project, and defects are now arising, about 2 years later. Basically, though, unless you want to severely parse their statements, they are trying to deceive the public. Supposing, very arguendo, that they ever get the $4 billion they want for the North Side Main "vision," is that going to last 60 to 80 years, or 5 before it needs major rehab? It is apparent that years and years of neglect to an aging infrastructure has put the CTA in a near dire situation. Not only the CTA, but UP and Metra have a similar problem on its North Line (though I think that covers only bridge decks). The concrete structure along the UP West seems to be cracking as well. The question CTA must answer first is how do they want to proceed. In other words, do they want to rebuild the NSM, build a new subway, etc. Of course what they can do will depend on what kind of funding they can get, but a major disruption of service is guaranteed. Personally, I would be in favor of being without Purple Line express service for a year to get the outer tracks and structure redone, and even raising the structure another foot. Thus the remainder would be to rebuild the Red Line structure and stations from Lawrence to Howard, providing bus shuttle service to the closed areas. I remember when the Purple Line Express used to zoom from Howard to downtown. Nowadays there is no real justification for the service for it really is no time difference between it and the Red Line (with the slow zones). But I don't want to see money going down the drain again either. Attended the Edgewater meeting at Senn High School tonight. Attached are some of the presentation boards that I haven't seen posted to the web site yet. Drainage problems with the embankment are one of the reasons for its replacement with a concrete aerial structure. The subway option is expected to gain the highest new ridership due to the faster speeds resulting from fewer stations, less curves, and the bypassing of Clark Junction. With the subway option, the Purple and Red lines would essentially become a single line, although some northbound trains may terminate at Howard during times when extra capacity in Evanston is not needed. If they do the Subway idea, then the Red Line will stop somewhere under the Wrigley Rooftops on Sheffield. I wonder how long it'll take them to tunnel out this Subway, lay down track, create stations and power it up for service.... Both the State and Dearborn Subways began construction in 1938 with the State St. being completed in 1943, 5 years later, and the Dearborn St*. being completed in 1951, 13 years later. So if, say, ground was broken for this Subway in 2012-2013, the project will most likely be completed in 2017-2018. 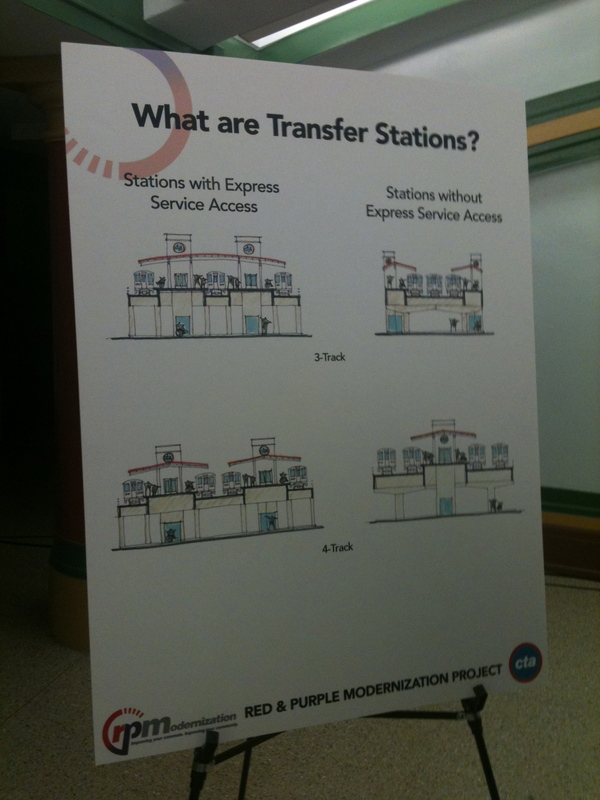 ...besides that, how they justify demolishing an Addison station rebuilt in 1993 or 1994 as part of the HoDaR project. Unless Evanston has really demographically changed, and it might have, I'm sure they don't want through trains from the Red Line. I think I will just write this project off as fantasyland,* except for the consultants who undoubtedly received mucho section 5339 money. Has anyone mentioned where the state 50% match is going to come from, even if the feds come through on the 5309 construction grant? Maybe there is a point to the House Republicans saying that New Starts Transit is on their hitlist. After all, if you go back to the CTA Planning and Expansion page, and click there, the Circle and Red Line expansion hearings started in 2006, and it is 4 or 5 years later, and they aren't even at the EIS hearing stage yet. *At least the Disney Fantasyland has a monorail. That would be the least disruptive way to tackle this project, it's just a matter of once they start demolishing do they put the rest of the embankment in danger of collapse. I suppose they could shore up the side of the embankment on a temporary basis. I would be in favor of building some temporary wooden stops like they had on the cermak branch on the outer tracks. Then they wouldn't need a shuttle, which would be in high demand in the rush hour. As far as the speed of the purple line, you used to be able to jump up to three red line trains ahead of that service on the express portion. Now it just seems like one or two. Once this construction is completed and a few red line stops are eliminated and a few more stops are put in for the purple, both lines might be close to the same speed. It would probably not be worth it to wait specially for a purple line train for the speed factor unless both trains are in the station at the same time. Notwithstanding any FTA funding rules related to the useful life of Addison station, *if* (and that's a big if) it turns out that the subway plan is the best idea, then it would really make little sense to skip that option just because one station (of the dozen or so stations on the NSM impacted by this project) happened to be rebuilt 18 years ago. If the subway truly does turn out to be the the one with the most benefits, then some people will just have to accept that there's a station that only got 23-25 years of life before it was closed (as that's how old it will be once things are built...assuming the project got underway this year, which in and of itself is not entirely likely). Besides, I can imagine someone with the same mindset as yours criticizing CTA 20 years from now, saying "CTA could have had a subway running up here carrying twice as many people, but they screwed up a $4 billion project just to save that one station at Addison." There is an article today that talks about the brown line flyover. I'm surprised they have to demolish up to 16 houses for this? Can't they just build over the existing structure? It looks like the Dan Ryan branch track project is going to roll out as someone else originally projected many weeks ago – a complete shutdown of the south branch of the Red Line from just south of Roosevelt to 95th. Subsequent to that post, I had heard that the CTA was going to offer a second option of weekend-only work for 4 years, but that the preferred plan was the complete 5-month shutdown. They had decided to present the second, weekend-only option, in order to give the appearance that they were offering the community and aldermen an option. Well, it now looks like the weekend-only closures option is not seriously being considered. They are going with the complete shutdown plan. The complete Dan Ryan branch shutdown will begin in spring 2013 and last through the summer. One thing that changed since Mayfield outlined this plan is that the CTA intends to offer some free and discounted fares to some riders affected by the shutdown. This helped to ensure the support of the aldermen, at least in one office I am aware of. Not sure of the extent of these free fares. This is still under discussion. I heard possibly free shuttle buses and free fares boarding at Garfield Greenline station. Also, the CTA has reached out to and received the support of the Chicago Urban League (for support on hiring issues?). As I hear it, the big selling point is the number of jobs this project will create. This information is for your information and discussion. I have no official proof I will post, and no official sources I will identify. Doing so would probably cut off my source of info. Looks like they are putting a switch in from track 1 to track 2, just south of Lawrence/Red line. I guess that's part of the preliminary work that needs to be done before the project will start. Looks like they are starting at track 1 and working they're way to four, unlike both Belmont and Fullerton/Red line which was the opposite. I'm trying to follow the logic about the CTA wanting to extend the Red Line to 130th via a shared elevated embankment with a Union Pacific Freight Line. Are they saying that they will lay third rail next to existing freight tracks and share said tracks with a freight line? Initially, I thought not and that would be impossible, but when you put "share" in the context, that changes the meaning. If this is being read correctly, does the CTA realize what kind of delays they are in for from 95th to 130th? Freight Trains can be anywhere from 100-200 cars in length and cause "Freight Delays" on all Metra lines where Metra and Freight co-exist.